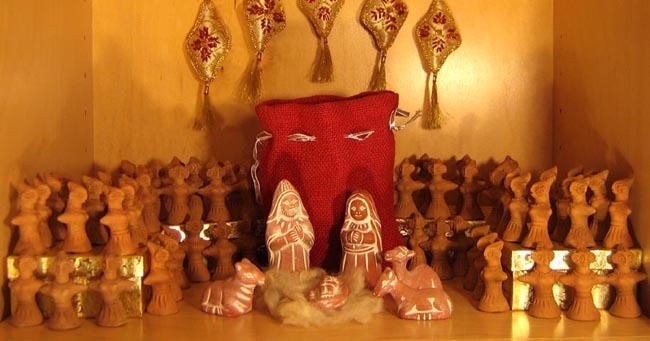 This six-piece ethnic Nativity scene from Bangladesh is handcrafted in clay and then whitewashed to highlight the details. The Joseph figure stands 3.75 tall. The scene came in a woven fiber bag, dyed a crimson color. The Holy Family and three animals are joined by a chorus of 60 Bangladeshi angels, also made from terra cotta clay.